This back cinch is made from 100% premium thick leather. It features a hand carved wavy tooling pattern that is designed to match a wide variety of Western saddles. This back cinch is made from 100% premium thick leather. It features a hand carved wavy tooling pattern that is designed to match a wide variety of Western saddles. The rough out underside protects the horse from chafing and rub marks, even while being ridden for prolonged periods of time. 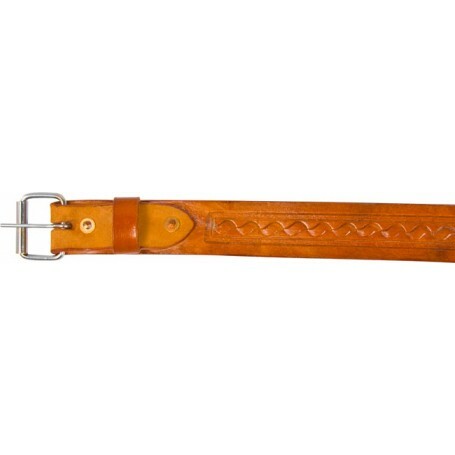 The natural brown coloration of this back cinch makes it as versatile as it is useful and makes it the perfect addition for your tack set.